It was a dull and rainy Sunday and I was back home to Manchester for the weekend after a tiring week back at work in York. 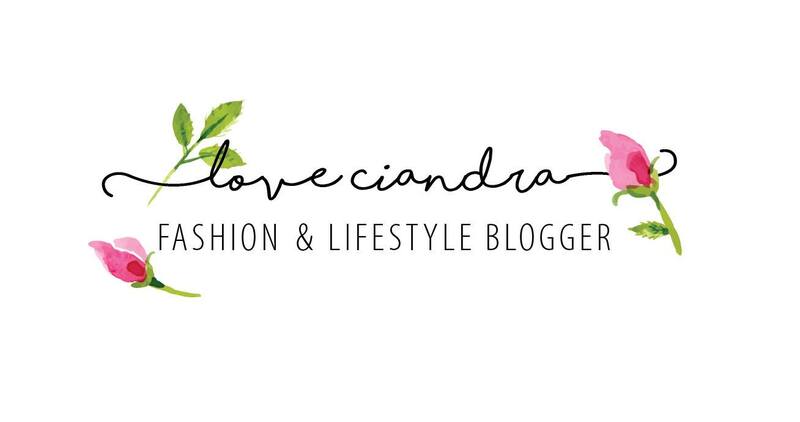 My skin was looking lacklustre and I was in need of a pamper without spending hours in the salon and draining my purse too. Cue the new Elizabeth Arden Speed Services! You can't really do much with 15 minutes these day can you, but if you head over to an Elizabeth Arden counter you can get prettier looking skin in no time at all. The full Speed Service Menu is extensive which you can view below. I opted for the Oxygen Blast facial treatment. The facial isn't about long, luxurious massages or deep-down pore cleansing - it's a fast fix designed to get you glowing and out the door in no time! Jess, my therapist, used a small air gun-like device to apply a blast of oxygen-rich serum all over your face, which quickly plumps and brightens skin. A mixture of Elizabeth Arden Products were then applied to my face including a Prevage serum to give a golden glow to my skin. It feels like gently being airbrushed. It's so speedy, you're up and out of the chair in no time and you don't even need to take your makeup off if you don't want to! The Oxygen Blast is now available in four exclusive formulas: Lifting, Detoxifying, Brightening and Hydrating. This 15-minute spa refresher includes cleansing and toning followed by a quick mist of customers’ preferred Oxygen Blast serum delivered via an airbrush stylus. The nutrient-enriched blasts with stabilised oxygen, 8 trace minerals, and potent antioxidants like green tea help revitalize, recharge and re-energize skin. The Booster Bar can also be used over makeup to set it for the day. 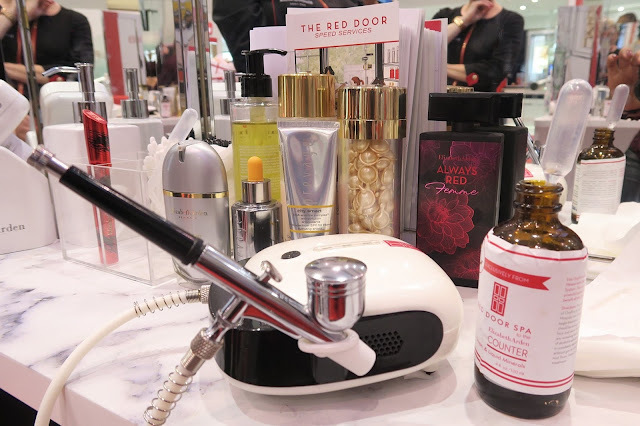 To top off the service, SUPERSTART Skin Renewal Booster, along with complementary Elizabeth Arden serum and moisturizer are applied to the face and neck. Experience a relaxing facial massage to promote lifting and toning while helping to restore skin with the essential lipids it needs. This 15-minute service features Elizabeth Arden’s new Advanced Ceramide Capsules. After skin is gently cleansed and toned, lifting and sculpting techniques are performed using the capsules. This single-dose serum is proven to enhance skin’s barrier repair function, increase moisturization within the surface of the skin, and minimize the appearance of fine lines and wrinkles. Following the application of the capsule serum, the best ceramide moisturizer is applied, leaving skin looking lifted, radiant and noticeably softer and smoother. The Elizabeth Arden ‘current’ affair is all about this age-defying, youth-restoring treatment. Featuring microcurrent technology, this 15-minute service promotes lifting and toning of the facial contours leaving your skin toned, fit and fabulous. Elizabeth Arden’s new Advanced Ceramide Capsules are then applied to help boost, hydrate and restore skin to its most youthful appearance. This must-have shape-up facial immediately gives the face a lifted, firmer appearance. This unique eye service features microcurrent technology that precisely targets hard-to-reach areas around the eyes. An application of Advanced Ceramide Capsules Daily Youth Restoring Eye Serum leaves skin around the eyes looking firmer, smoother and revitalised. This indulgent, youth-restoring massage is performed with the Advanced Ceramide Daily Youth Restoring Eye Capsules and focuses on the delicate eye area to minimise the look of fine lines, wrinkles and puffiness. Available in 3 unique massage techniques, this luxurious treatment leaves skin around the eyes looking firmer, smoother and revitalised. Inspired by the lovely Lady Liberty, this 10-minute lip facial takes steps from our full face facial that consumers know and love and applies them to the area around the mouth. An array of Elizabeth Arden products are used to help exfoliate, moisturize, and seal to achieve the ultimate hydrated pout. To begin, the beauty consultant removes any lip colour that the consumer has on her lips using Elizabeth Arden’s All Gone Eye and Lip Makeup Remover. Next, lips are exfoliated gently before the cult-favorite Eight Hour® Cream Skin Protectant is applied to seal and protect lips. Your lips will be kissable in minutes! This 15-minute, express hand treatment uses a combination of Elizabeth Arden products to moisturize and hydrate hands. Using either Eight Hour® Cream Intensive Moisturizing Hand Treatment or Eight Hour® Cream All-Over Miracle Oil, customers enjoy a pampering, hydrating hand massage. This massage is designed to relax and stretch hands that are often tense. Both products help to seal in hydration for the duration of the day. It all happens in a New York minute. Learn how to create the latest looks in beauty from brows that wow and a bold lip, to strobing and contouring. 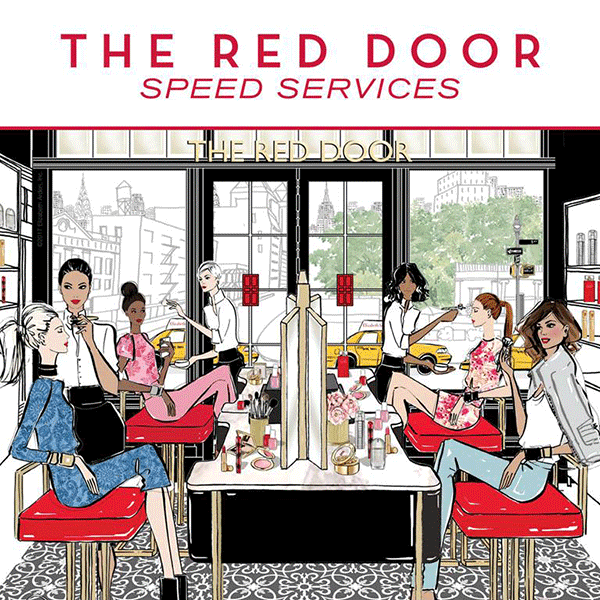 Availability: The Red Door Speed Services are available at all full-line Elizabeth Arden counters, you can find your nearest here. However, only the top 50 doors will offer those Speed Services which make use of a device. All services are complimentary for Elizabeth Arden customers and advanced bookings are essential. Now all you have to decide is which treatment to choose!